I wish to write briefly on what I term “purity in knowledge.” The Bible keeps emphasising this, but it has been sadly ignored by many Christians. The Bible keeps emphasising that we should be careful about what we know, but sometimes we think we could be better if we knew unhelpful things. Some have said that demonology (study of demons and their operations) is helpful for a Christian. 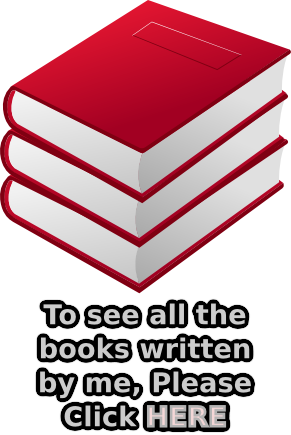 Others will pick up occultic books like the seventh book of Moses and think that it will help them know more. Such people are of the opinion that the Bible is good but it is not enough. The Bible speaks against such reasoning. If we know what the word of God is, then why not just stick to it. One lie can make you doubt all the truth you ever knew. Be careful what you read. There are books that one could read and you’d start doubting that this world was created by God. There are movies you’d watch you’ll lose the appetite to pray. There are lectures and seminars you’d attend that you’ll despise the gathering together of the brethren. These effects are signs that a man’s heart has been poorly kept and he is gradually dying. We are to keep our hearts from the knowledge of lies that will wrest with the truth in us or raise any doubt in us about the truth we know. We ought to be pure in all things including our knowledge. Let us not have the truth and lies dueling together in our single hearts. There are many foolish questionings in the church today that arise from contentious people who think they have arrived at a superior knowledge by reading foolish books. I heard a lot of people talk about a book called “Da Vinci Code” and they said it reveals a lot of things. But the little I heard about it won’t make me read it as I know that it reveals nothing, rather it blinds the eyes and obfuscates the truth. Despite saying many evil things about Jesus Christ that is contrary to scriptures many still go ahead to read it and think they’ve got some new knowledge that you don’t have. They’ll assume that they know that Jesus Christ had a wife which other Christians inferior to them don’t know. That is just like thinking I have a superior knowledge because I know that all the trees in the forest have leaves of green plastic. What a knowledge! It was out of the book that the foolish saying that says “What really matters is what you believe” came about. By this faulty inference, the Biblical instructions are seen as just things we can choose to believe or not to believe. If we choose to believe that there is hell for sinners, it matters only because we believe it. If we choose not to believe it, it does not matter any more. If we choose that God is real, it matters but if we don’t believe, it doesn’t matter whether or not he exists. Foolish. It will amaze you how such foolish knowledge from hell puffs up people. It takes a fool to be puffed up by foolishness. Now how do we keep our heart diligently? Do we shut our ears to every sound? Do we shut our eyes from seeing anything in the resemblance of letters? I know that the Bible has been the principal builder of my life but some other books really helped too. What would have happened if I had refuse to read them in the bid to keep my heart with all diligence? I’m not sure, but I think it would have been to my disadvantage. The answer to this important question is found in the Bible where it is written “Go from the presence of a foolish man, when thou perceivest not in him the lips of know ledge.” (Proverbs 14:7). It says we should depart from the presence of a fool WHEN we perceive that he doesn’t have the lips of knowledge. Don’t shut your ears to just everyone. But be quick to perceive if or not he has the lips of knowledge in him. If he has the lips of knowledge in him, not to listen to him would be to do yourself a mis-service. If he doesn’t have the lips of knowledge in him, go from his presence. The author of Da Vinci Code didn’t have the lips of knowledge so I departed from him. This will keep us wide open to everything so that we don’t miss anything that is good for us, while at the same time place a sieve over us to sieve out all evil from us. When I was reading through the second chapter of Revelations, what shocked me was not that Jesus was displeased with some of the people of Thyatira for practicing the depths of Satan, but his displeasure was that they knew it. By this I knew that it is not practicing demonism, satanism, diabolism or any other evil practice that displeases God but even knowing them. Jesus was happy with those who had not known the depths of Satan. How many of us today go seeking to know what heretics believe and practice? I admit that through curiosity and assuming it were helpful I had sought to understand what heretics believed and practiced in time past. I believe there are times when we may bump into these doctrines undeliberately but we should not go seeking after them deliberately. Let us be content with the Bible and sink ourselves into it. Jesus also says, “Take heed what ye hear.” (Mark 4:24). This makes us know that what we hear has consequences. It may be good or bad. Therefore we shouldn’t assume that all knowledge is constructive. We ought to take heed because some knowledge are destructive. You know, sometimes we see people who say they wish to study the books of heretic faiths so as to enable them preach to those who believe in such heresies. The study of such books among Christians has increased of recent and the rise of such heretic faiths has also increased simultaneously. So, how effective is this art of knowing lies so as to prove it to be a lie? Futile. Reading about the blind man who Jesus healed, he knew so little but he was still able to prove the truth about Jesus’ righteousness. He knew nothing as compared to the Pharisees, but he confounded them. He didn’t know their lies nor their arguments, but he relied solely on the little truth he knew. It is written of the man born blind, “He answered and said, Whether he be a sinner or no, I know not: one thing I know, that, whereas I was blind, now I see.” (John 9:25). They had falsely accused Jesus of being a sinner. This man may have had little knowledge of the law or of Jesus’ life to know if he were a sinner or not and he acknowledged it plainly, but he based his opinion of Jesus on the little truth he knew; “whereas I was blind, now I see.” One will say “but the Pharisees were not convinced.” Yes they were not convinced but their anger showed that this man, by his little knowledge of the truth, had defended Jesus most excellently. Their anger was out of envy for Jesus and out of pride, not out of not being convinced. We too, like the man born blind, can, by the one thing we know (by the word of God), silence any adversary. It were completely useless to read a book of heresy so as to be able to preach to those who are deceived thereby. Knowing the truth in-depthly is sufficient enough to convince any willing soul to come to Jesus. Prayer: Dear Lord, I know that it always seem good to read just everything that comes my way for the sake of knowledge, but thank you for pointing out in your word that not all knowledge is good for me. Help me to be able to identify those knowledge that are good for me and those that are not. Help me also to be able stay clear off all destructive knowledge and stick to the truth, being determined to know it thoroughly. Help me dear Lord. In your dear name I ask it. Amen. 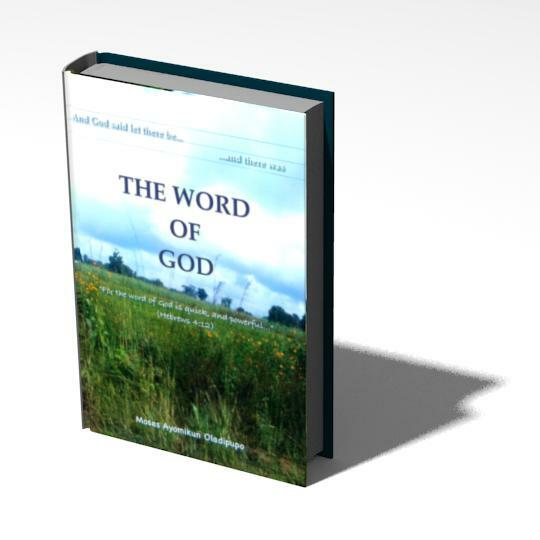 Excerpted (and edited) my book titled “THE WORD OF GOD“ published 2015. Download the full eBook for free HERE! This entry was posted in Articles, Christian Articles, Christian Devotion, Christian Discipline, Purity, Updates and tagged Bible, circumspection, Faith, God, heart, herecy, Holy, Knowledge, of, Pure, purity, Solomon. Bookmark the permalink.